Squarespace vs. WordPress: Which Platform Should You Choose? Trying to make the decision between Squarespace and WordPress? Both platforms make it easy for you to create a fully functioning website. But they go about it in two very different ways. So, before you start building your website, it’s important to know what you get with each platform, as well as some of the reasons why you’d want to choose one tool over the other. In this post, I’ll investigate the battle between Squarespace vs. WordPress, and give you a recommendation for which platform you should choose for building a website. Should You Choose Squarespace Or WordPress? Do you want the absolute easiest way to create a website? Or do you want a way to create a website that gives you the flexibility to add the exact styling and features that you want? Squarespace wants to offer its users the absolute simplest method to create a website. But, in order to make its tool easy to use, Squarespace operates as a closed ecosystem and sacrifices a good deal of flexibility. WordPress goes in the other direction. It’s not quite as easy to use as Squarespace, but that sacrifice is often worth it because of how flexible WordPress is. 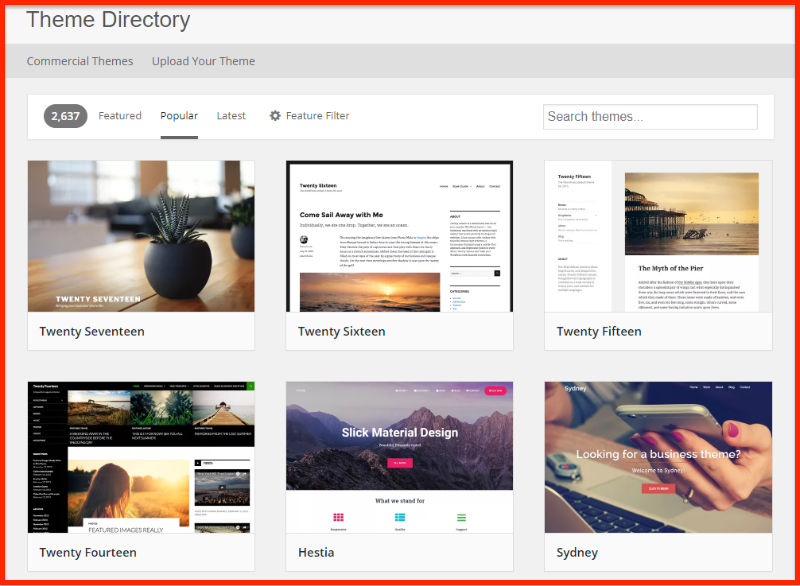 WordPress offers tens of thousands of themes and plugins to customize your site’s styling and functionality. But in general, that dichotomy between ease of use and flexibility is what should shape your decision. Below, I’ll dig into how these differences play out when you actually go to build your website. Squarespace is the winner (slightly) when it comes to how easy it is to build a website from scratch. 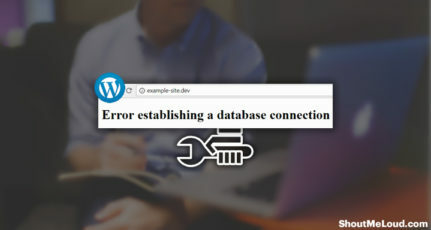 While WordPress is still easy for most beginners to grasp, the setup process is a bit more involved because you’re responsible for certain technical details like hosting. When you build a website with Squarespace, you don’t need to worry about technical details like choosing hosting and purchasing a domain name. Instead, all you do is sign up for a Squarespace account, and you’re off to the races. Then, you’ll need to answer a few simple questions. And once that’s done, you’re all set! 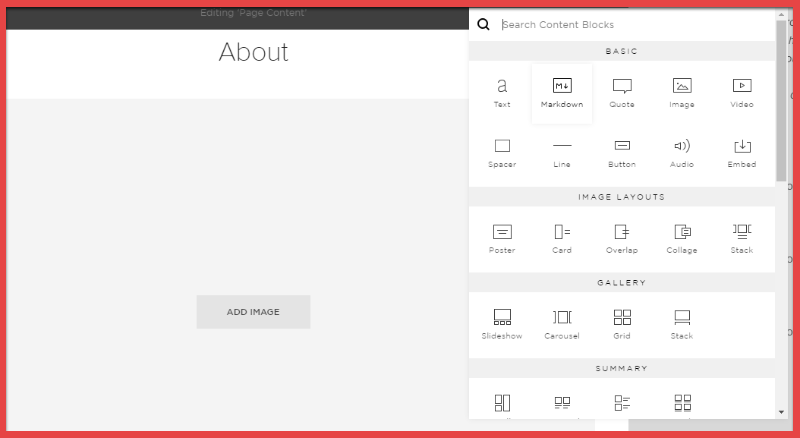 If you’ve ever used a WordPress page builders, you’ll feel right at home with Squarespace’s drag and drop editor. With WordPress, you’ll need to complete a few technical details before you can start building a website. Choosing and signing up for web hosting. Purchasing a domain name (you can usually do this through your web host). Installing the actual WordPress software (most hosts offer one-click installers to simplify this process). As a result, the process is a little bit more technically involved than Squarespace. With that being said, it’s still fairly easy to launch your own self-hosted WordPress site. So even though the process isn’t as simple as Squarespace, it’s still pretty straightforward and easy for most beginners. Then, you can start writing content. 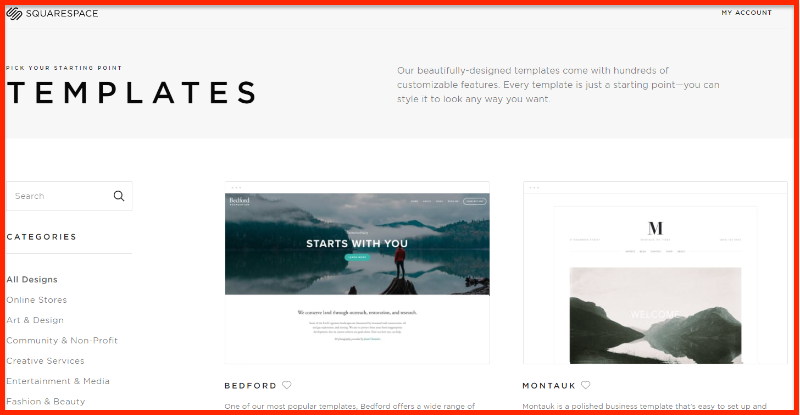 And if you want to build more complicated pages to approximate the functionality of the Squarespace editor, you can install one of the many drag and drop WordPress page builders. While Squarespace is the slight winner when it comes to how easy it is to create a basic website, WordPress dominates when it comes to extending your site with new functionalities. Because Squarespace is a closed ecosystem, you’re unable to install your own functionality. 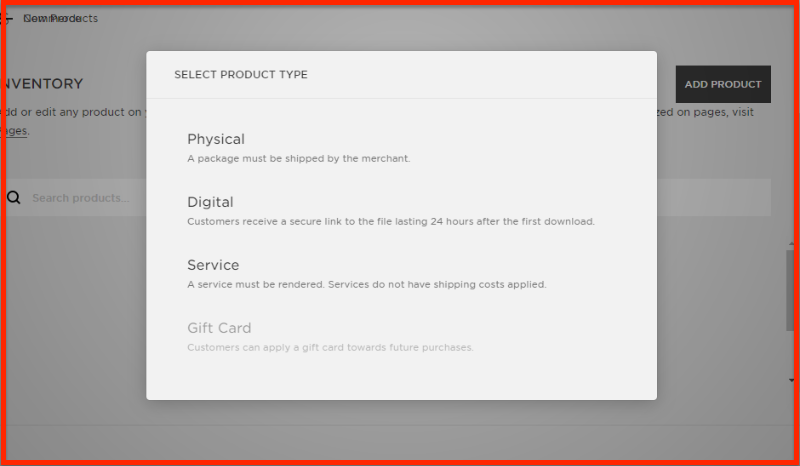 Squarespace does let you add your own client-side code, but that’s pretty much it as far as external functionality goes. With that said, Squarespace does at least include some built-in functionality to extend your site. All in all, though, Squarespace just can’t compete with WordPress in terms of potential functionality. When you build your website with WordPress, you get full access to the massive WordPress plugin ecosystem. 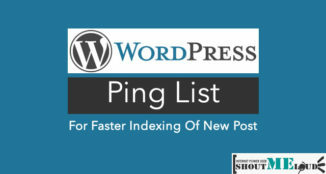 Plugins add all sorts of functionalities to your site without you needing to know any code. Right now, there are 52,000+ free WordPress plugins, plus thousands of more premium plugins. 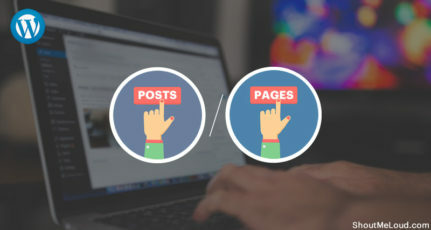 Those huge numbers are why people say that you can find a WordPress plugin for pretty much any type of functionality that you want to add to your site. Remember – if you can think it, there’s probably a WordPress plugin for it. When you’re deciding between Squarespace vs. WordPress, data ownership and privacy should be something you give serious thought to. When you build your website with Squarespace, you’re handing control of your data over to them, which is part of how Squarespace is able to provide such a streamlined, user-friendly interface. With WordPress, though, you retain full control over all of your data. You can do whatever you want with it and manipulate it as needed. So why does data ownership matter? Let’s say that a year down the road, you decide that you want to move away from Squarespace. What happens to all of your existing content? Because you don’t control your web server or have access to your site’s database, you’re basically at the mercy of Squarespace. Additionally, this limitation means that you can never truly back up your entire website. Unlikely as it is, if Squarespace were to experience a failure, you wouldn’t have access to a working copy of your site. With WordPress, you have 100% ownership and access to your data. You can create full backups, export every single bit of data on your site, and do, well, pretty much anything else you want. Because Squarespace is a closed ecosystem, you don’t have to worry about maintenance or security – the Squarespace team is responsible for all of that. With WordPress, though, you’ll need to take a more proactive approach to security and maintenance, or at least pick a host that does it for you. There’s not much more to say here – you don’t need to lift a finger when it comes to maintenance and security. That’s the benefit you get for giving Squarespace complete control over your site. With WordPress, things are a little bit more complicated. Because you have full control and ownership over your site, you’re also responsible for maintaining and securing it. 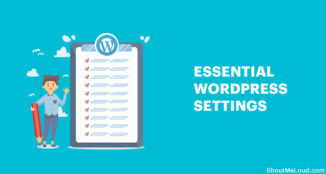 Ensure you swiftly update WordPress and all of your themes/plugins. Regularly back up your site. Choosing a managed WordPress host. But the fact remains that security and maintenance are things you need to think about with WordPress, which is not the case with Squarespace. There’s no clear answer to which platform is more affordable. A basic WordPress site will cost less than a basic Squarespace site. But if you purchase premium hosting, themes, or plugins, a WordPress site could also cost more. With Squarespace, you’ll always know exactly how much your site will cost. You pay a fixed price per month or year. Those prices start at $12 per month (billed annually) for a basic site and go up to $40 per month (billed annually) for an eCommerce site. If you choose a cheap WordPress host, that could cost you as little as $40-$50 per year. On the other hand, premium WordPress hosts like Kinsta start at $100 per month, and you also might find yourself wanting premium themes and plugins. For that reason, a high-traffic WordPress site could easily cost significantly more. For most users, WordPress is the best choice. The ability to easily add more functionality. Those sacrifices might be fine in the beginning – but as your site grows, you’ll likely find yourself wishing you had more flexibility. WordPress is still fairly easy to use, even if it’s not to the level of Squarespace. WordPress has a huge third-party support community that makes it easy to find help. Now I’m wondering what you think. Do you prefer Squarespace or WordPress for building websites? Let me hear your thoughts in the comments below! Thank you for sharing again most informative Post. Both are excellent platforms; I think it also depends on what you want to achieve and what kind of blog you want to create. 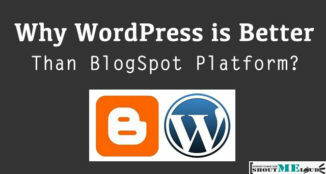 But WordPress is my favorite tool for blogging and it is one of the best and widely used blogging CMS. A client who is already on a self-hosted WordPress site saw another beautiful website and want me to get something like the design. I dig a research about the site and found out it was on Squarespace. In one word; after tasting Squarespace, i prefer WordPress over it! As We know, there are over 1 Billion websites which exists on Internet only because of WordPress. It’s the most versatile CMS I have ever used. Though, as you said squarespace would be great enough to power a basic website. At this point, I would say, if someone really wants to create a basic website then the user can go for Blogger as it is easy to use and quite adaptive to most of the requirements which we may not be able to access on Squarespace. What do you think about this? Would love to hear from you! 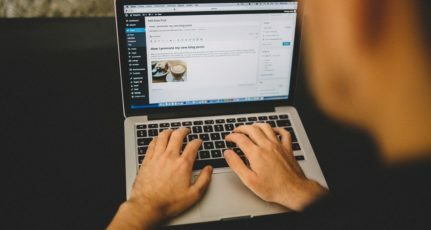 I really appreciate your writing on the two widely used blogging platforms.This provide me a vivid idea regarding using or choosing the best one of the two.I have used wordpress several times but I didn’t use Squarespace yet.However this particular write up will definitely aid me to use Squarespace this time.Keep writing informative articles like this. Nice rundown! While I’m a wordpress man, I’m starting to get to the point where I want to recommend squarespace to those who want to do it themselves because hopefully they won’t keep coming back to me with questions. You let us to know about the Squarespace. Probably most of the bloggers didn’t know about this platform including me. But this post helps us to have the core information about Squarespace. Maybe harsh, no other platform can overcome the flexibility and ease of use of WP. If anyone looking out there to take there blogging to pro level like Harsh then I don’t think that there any choice left out except WORDPRESS ! because of the fact that it is open source and for this you get almost innumerable amount of plugins. 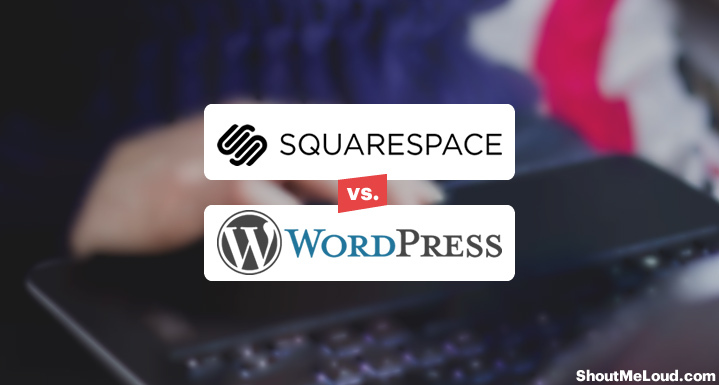 Dear Mr. Harsh, Nice Post with comparison between wordpress & squarespace. I am using wordpress and i think this is very easy and user friendly platform to design a website. Thanks for sharing for more information about WordPress.